Your community is more than a bunch of people that happen to live near each other. There are other things that make it what it is. Your community is shaped by its history, the geography, and the type of people that live there. It has characteristics that are absolutely unique. The more you know about where you live—particularly what makes it unlike any other place—the more effective you will be as a skatepark advocate. Also, those characteristics of your community will help you create a skatepark plan that best meets its unique needs. Here are some of the characteristics that may have impact on the skatepark project. We’ll cover a few of the more relevant characteristics later. The most important thing to understand is that all of these characteristics are related and together help form your community profile. Some, like gang activity and drop-out rates, are closely tied. (Drop-outs are more inclined to join gangs; gang members are more inclined to drop-out.) Others, like walkability and median household income, have subtle or indirect connections. As you gain experience as an advocate, you’ll come to understand how skateparks relate to the items in this list. Relating the skatepark idea to these characteristics will form the spine of your advocacy program, and you’ll find that some characteristics resonate more strongly in your community than others. For example, a rural town may have little interest in “at-risk youth intervention” but will really like the idea of providing opportunities for youth to get outside and exercise, while a larger metropolitan area might have the opposite priorities. A community that values outdoor recreation will have the attractions to prove it. It’s certainly not critical that you become an expert on every conceivable characteristic of your community, but the more you know, the better you’ll be able to handle framing the skatepark vision into terms that are relevant to your audience’s interests. Every community has problems. These problems don’t have anything to do with skateboarding; it might be pollution, traffic, gangs, unemployment, or any number of things. Skateparks can be relevant when considering other problems the community is facing. For almost every problem there is a way that skateboarding and skateparks can provide some degree of positive solution. Some community challenges are common across the nation. For example, most cities have more expenses than cash. They are effectively broke, so any proposal that involves spending public money is going to be less popular than a proposal that comes with a funding plan. Other challenges might be unique to a particular area. Perhaps the community is facing some dire environmental issue. Knowing this, the skatepark advocate can frame the skatepark message in terms that showcase the facility’s environmental sustainability. The most common community concerns and can be addressed by or integrated into your skatepark vision. There are easy connections that you can make between the non-skateboarding issues that your community is facing and the skatepark idea. Skateparks have a nice correlation to poverty. Skateboarding is an inexpensive hobby to get started with. Most beginning skaters are able to get started for free using hand-me-down equipment. The cost to start skateboarding is very low. 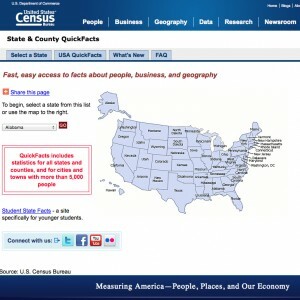 The US Census website contains a wealth of information about your community. National poverty rates are updated annually by the US Census Bureau. The rate essentially expresses how many people are living at or below the poverty level. Poverty is measured in a number of ways. One profile of poverty is defined by income. Another profile is in the degree of unmet basic need. Poverty thresholds are consistently applied across they country; they do not vary from region to region. Poverty is computed on an individual and family basis. For families, the size of the family is used for scale. In 2011, for example, one person is impoverished if they make less than $11,702 a year, or $10,788 if they are over 65 years old. A two-person family, under 65, with no children, are impoverished if they collectively make less than $15,063. That same family with one child is impoverished if they make less than $18,106. A basic needs calculator can be found at the NCCP website. Free and reduced lunch program participation is often used to express the amount of impoverished children served by a particular school or school district. Eligibility for free and reduced lunches is based on federal poverty guidelines. When a school or school district indicates how many students are eligible for this program, it’s similar to indicating how many students fall below the poverty line. To learn more about the federal School Meals program, visit the United States Department of Agriculture’s website. According to the Centers for Disease Control and Prevention (CDC), childhood obesity has more than tripled in the past 30 years. The percentage of youth between 6 and 11 years old who were obese in 2008 was nearly 20%. The CDC attributes obesity as affected by various genetic, behavioral, and environmental factors. The CDC’s website is a terrific resource for public health data. Youth obesity leads to health risks. 70% of obese youth have at least one risk factor for cardiovascular disease, are more likely to have prediabetes, and are more prone to bone and joint problems. The CDC recognizes that stigmatization can lead to poor self-esteem and psychological problems in obese youth. 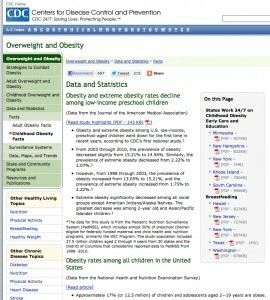 The CDC’s website has useful tools and regional statistics for childhood health. They provide state-by-state profiles for health topics among school-age youth, for example. According to the CDC, suicide is the third leading cause of death among adolescents in the United States. Suicide accounts for 14.4% of all deaths among 15- to 24-year-olds. The National Youth Violence Prevention Resource claims that 1 in every 12 teenagers had attempted suicide in the last year. American Indian and Alaska Natives have the highest suicide rates among all ethnic groups. A 2004 study concluded that among 13- to 24-year-olds, those that exercised in the past month were far less likely to make a near-lethal suicide attempt. Skateboarding is only presented as a positive intervention in teen suicide in anecdotal terms. Many skateboarders claim that skateboarding gives them focus and grounds them. Drop-out and teen pregnancy rates are closely related. Pregnancy is the most common reason girls drop out of school. About 70% of teenage girls that give birth end up dropping out. On average, 1 in 4 teenagers in the United States becomes pregnant. Data on teen pregnancy and sexual activity can be found at The National Campaign to Prevent Teen and Unplanned Pregnancy website. The national average for drop-outs is 28%. There’s a wide disparity among the five major ethnic groups in the country. When expressing drop-out rates, it’s important to convey that students leave school for a variety of reasons, including working to help meet financial challenges at home, lack of support within the school, students living on their own, and bullying or a lack of positive social connection at school. More information about education and graduation rates can be found at the Alliance for Excellent Education. Skateparks are not often directly linked to drop-out and teen pregnancy rates. Some school districts have embraced skateboarding as an element in their physical education curriculum, and some have intramural skateboarding leagues almost identical to other extra-curricular sports programs. While these programs do not eliminate drop-outs and teen pregnancy, they deliver more opportunities for these youth to remain engaged with their school activities. Skateparks are commonly cited as a way for communities to provide positive options to teens struggling with the negative choices presented to them. Illicit drug use, particularly marijuana, has been increasing. More than 20% of 12th graders smoked pot in the last month, according to the National Institute on Drug Abuse and Monitoring The Future (MTF), and 6.6% of 12th graders smoke pot daily. Drug use is sometimes seen as an urban or “big city” problem. It’s interesting to note that the MTF survey indicates no significant correlation between population density and drug use. Students surveyed in rural and urban environments were equally exposed to the influence of illicit drug. Skateparks are often cited as facilities that help present options to youth that may otherwise be attracted to gang life. Skateboarding is particularly interesting as a gang intervention tool because skateboarding culture has its roots in street life and is perceived as a credible, legitimate activity among youth that are drawn to those types of activities. According to the FBI there are about 33,000 violent gangs—with a total of 1.4 million members—active in the United States. 40% of gang members are under 18 years old. The percentage of juveniles in gangs is much higher in rural counties (62%) and small towns (61%) than in cities (40%) and suburban counties (43%). More than 90% of gang members, regardless of age, are male. 86% of cities (incorporated areas with a population of 50,000 or more) report having gang problems. Smaller cities and towns (with a population less than 49,999) report having gang problems much less often (34%). 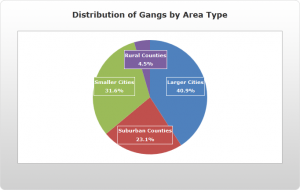 The distribution of gangs is not significantly concentrated in urban areas. One particularly interesting result of the National Youth Gang Survey is that less than half of the areas reporting gang problems indicate significant migration of gang members into the area. This means that most gang members in areas that have gang problems are residents of that community, and when gang members do move to a different urban area it is usually for legitimate reasons rather than criminal ones. The root causes of teen homelessness fall into three categories: family problems, economic problems, and residential instability. According to the Department of Health and Human services, nearly half of runaway and homeless youth had been physically abused by a family or household member. More than 20% of youth arriving at shelters report coming from directly from a foster care, and more than 25% had lived in foster care at some point in the previous year. The average age for the first episode of homelessness is 14.7 years. Over half of youth in shelters and on the streets reported that their parents told them to leave or knew they had left and did not care. Although the relationship between skateboarding and homelessness is tenuous, skateparks can provide a community and support network that a teenager may come to rely on should they face homelessness. Few, if any, studies have been done on the correlation between skateboarding activity and teen homelessness. If youth homelessness is a significant problem in your community, a skatepark may provide a positive outlet for at-risk youth. Public safety and personal safety are closely associated. Public safety deals with issues that lead to or prevent wellness for larger groups of people in an area, whereas personal safety is more about individual protections and accident prevention. 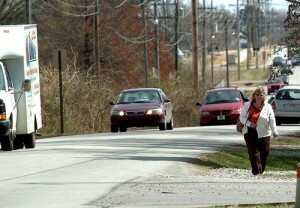 Pollution is a public safety concern. Encouraging the use of alternative forms of transportation raise quality of life and support appropriate infrastructure, such as sidewalks and skateparks. Public safety has a direct relationship to skateboarding, particularly skateboarding in the streets and public sidewalks. There are two common types of street skating: recreational and transportation, referred to as street skating and transportation skating, respectively. 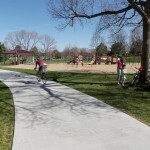 Recreational street skating is essentially skating in unsanctioned places that provide appropriate terrain. Transportion skating merely means using the skateboard as a means of getting to a particular destination. There are skateboards that are designed specifically for transportation skating (such as “longboards”), though a majority of skateboards are suitable for either (sometimes referred to as “short boards”). Both types of skating in public areas carry some unique risks to the public. When people hear the term “street skating,” many envision a skateboarder dangerously weaving through groups of people. Yet collisions between skateboarders and non-skating pedestrians is not a well-documented problem. However, accidents involving a skateboarder and a motor vehicle are very serious. Nearly all fatal skateboarding accidents occur in public streets and sidewalks (as compared to a sanctioned skateboarding space). A majority of fatal skateboarding accidents occurring in the street involve a motor vehicle. Neither transportation skating or street skating were significantly more responsible for skateboarding-related fatalities in 2011. It is common to describe skateparks in terms of public safety, but it is a delicate and potentially volatile topic. Proceed with caution and only with a good command of the material. Quality-of-life is a general measurement of a community’s well-being. It is not an economic measurement. (Economic well-being is often expressed as “standard of living.”) Quality-of-life is a combination of measurable, or quantitative, measures and immeasurable, or qualitative, measures. One criticism of quality-of-life and standard of living measurements is that they do not account for environmental or social sustainability. New areas of research are frequently introduced to the general study of quality-of-life issues, such as life satisfaction, ecological footprint, and political or societal freedom. Skateparks address both of these concerns as they qualify as park space AND are environmentally sustainable. Park and open space acreage per capita is often used by tourism and economic development professionals to promote target regions or communities. As such, skateparks are relevant to most quality-of-life topics. It is perfectly acceptable and common to describe skateparks in quality-of-life terms. Traffic is a common problem that cities everywhere are constantly addressing. There are several ways to address this: build new roads or widen existing ones; encourage carpooling; improve public transit; or even support development so that people don’t need to travel as far to get to the places they need to go. Skateboarding doesn’t appear to have a direct connection, especially considering that most skaters are too young to drive (and therefore don’t contribute to the traffic problem). However, skateboarding is a green form of urban transportation. For the same reasons that a city might consider bike lanes, they should consider ways to encourage skateboarding. Allowing skaters to share bike lanes is one solution that many cities are turning to. This gets people using skateboards for transportation off the sidewalks (where they tend to frighten pedestrians), and away from motor vehicles. This also relates to quality-of-life concerns because it is an issue of public comfort. Encouraging skateboarding puts fewer cars on the road even when those individuals may not be driving. By encouraging green forms of transportation, fewer people will be in cars. A skateboarder, in conjunction with a viable public transit system, can get anywhere in a city that they are comfortable… all without ever getting in a car. 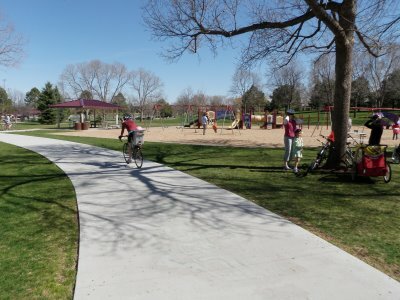 Concrete skateparks are sometimes perceived by environmentalists as the wrong direction because they represent more paved areas. In fact, skateparks require less maintenance and have a smaller ecological footprint than a lawn of the same size. Skateparks do not require water, aeration, mowing, or fertilizer. It’s no secret that cities across the nation are broke. All kinds of public services that used to be taken for granted are facing dramatic funding cutbacks. Libraries, police, parks, fire, and transportation are all fighting for every penny. A significant amount of the funds they’re all fighting for come from local home sales and business taxes. When business is good, those businesses pay more taxes, and people move into town for work or buy nicer homes because their businesses are doing well. Economic development is all about kicking this process into high gear. Skateboarding does several things for economic development. Skateparks raise quality of life in the areas they serve, but they also allow youth in those neighborhoods to recreate close to home. This creates a desirable neighborhood for those residents, and incubates a sense of provincial pride. When someone doesn’t care for their neighborhood, they are less likely to use its services or patronize local businesses.